Cloudy Bay is set to launch its latest pinot noir addition, entitled ‘Te Wahi’, at the Pinot Salon to be hosted at China Club’s The Library in Hong Kong, 14 October 2016. Already renowned for its multi-award winning sauvignon blanc, the New Zealand winery is now setting a new benchmark for the country with its classic Burgandy-style pinot noir. 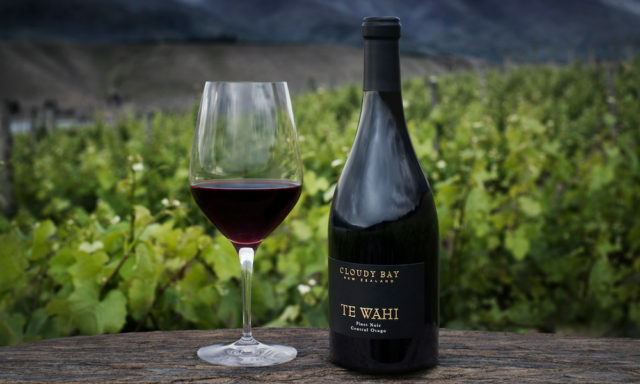 Te Wahi is one of Cloudy Bay’s more intense and masculine varietals, with an earthy structure and juicy red notes. On the nose, Te Wahi leads with red and black fruits and Christmas cake spices, followed by smoky flint and floral flavours. Cloudy Bay Viticulturist, Jim White, is set to host the intimate tasting, offering guests an opportunity to contribute their own perspectives on the carefully curated flights of wines from the world’s leading producers. Uniquely, the Salon uses a cross-selection of grape varietals and wine styles to illustrate the stylistic nuances of Pinot Noir. Highlights, of course, include Cloudy Bay’s Te Wahi 2014 from Central Otago, as well as the Cloudy Bay Pinot Noir 2014 from Marlborough. “The Hong Kong Pinot Salon provides a special opportunity for a stimulating contemporary discussion about pinot noir through a personalised tasting format. These are the wines that have inspired us at Cloudy Bay and this is our individual journey with pinot noir,” said White. “It’s neither a comparative tasting nor a regular wine tasting, but a modern way of exploring pinot noir in a global and cross-varietal context. For more information on Pinot Salon, visit the website.